Just a few more weeks of winter! 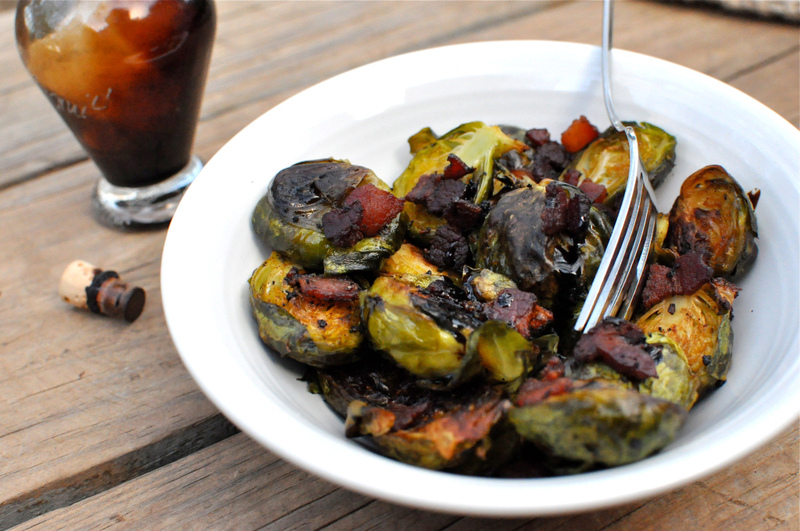 Let’s take advantage by gobbling up one of the most underrated winter veggies – the Brussels sprout! 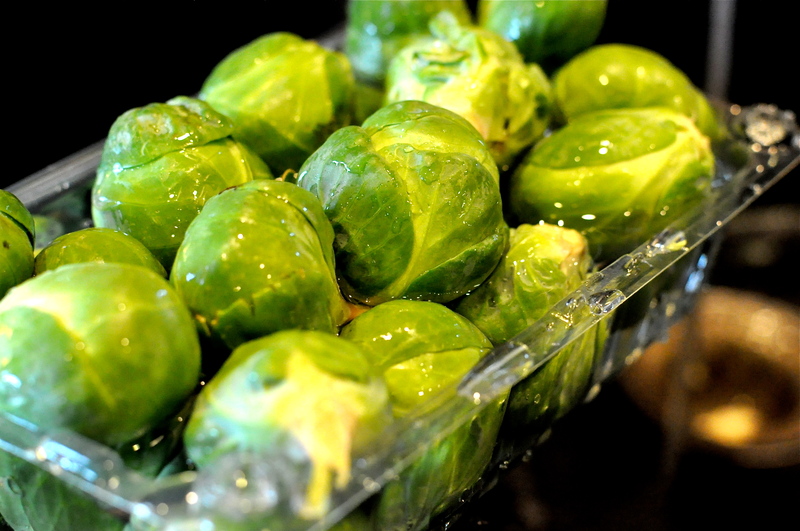 Brussels are in fact members of the cabbage family. 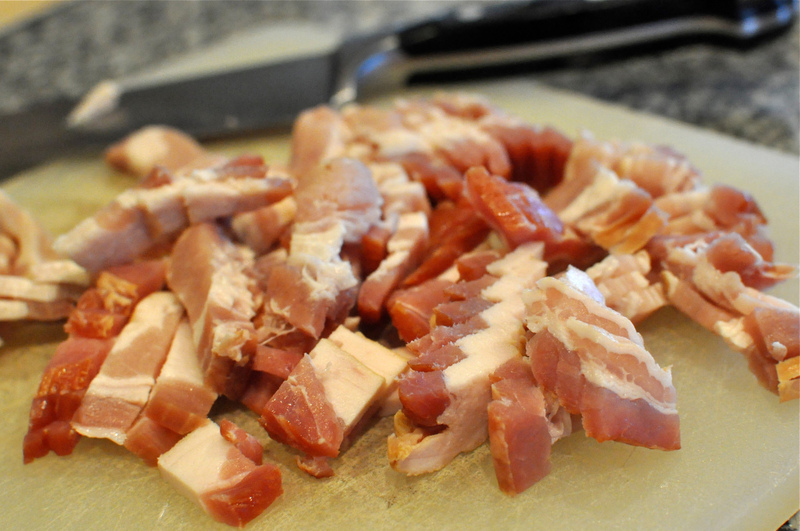 They contain huge amounts of vitamin C, vitamin A, potassium, and are believed to protect against colon cancer. 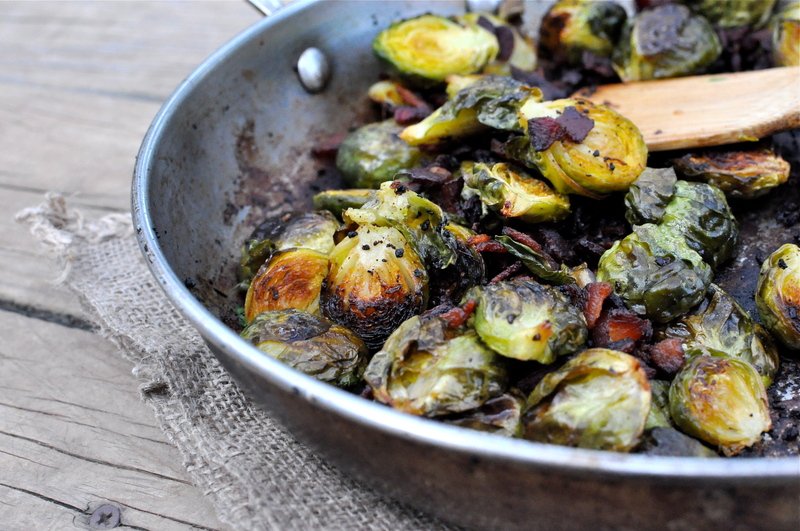 Like other forms of cabbage (collard greens, broccoli, kale), if you boil or inflict some other form of cooking assault on the poor little vegetable, it will retaliate by stinking up your house. “There was the usual boiled-cabbage smell, common to the whole building, but it was shot through by a sharper reek of sweat, which-one knew this at the first sniff, though it was hard to say how was the sweat of some person not present at the moment” (Pt. 1, Ch. 2). …he painted a clear picture. 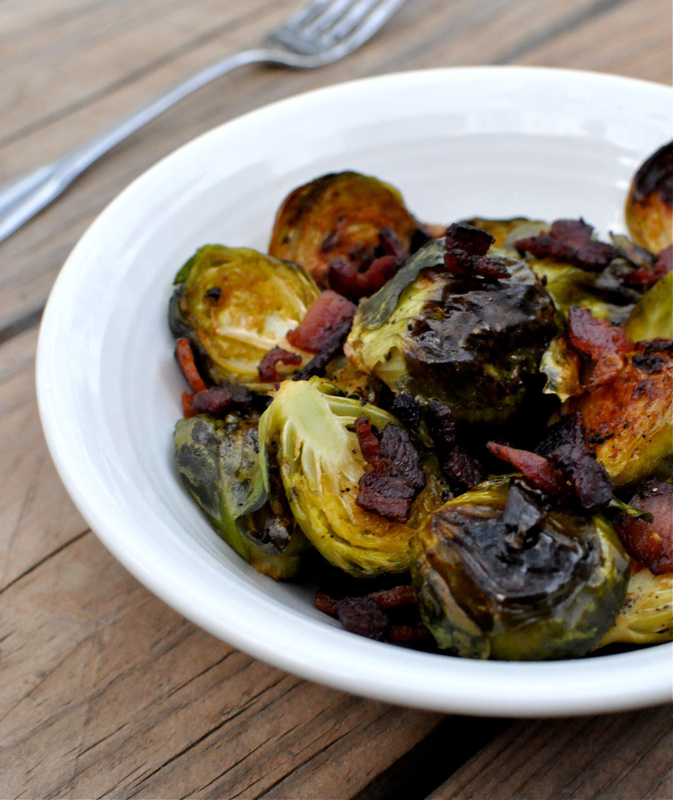 My recipe will turn Brussels sprout haters into eaters and believers. 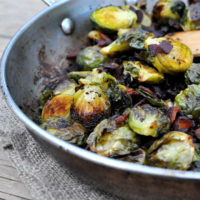 What’s my trick for making crispy, craveable, healthy Brussels the family will beg for? 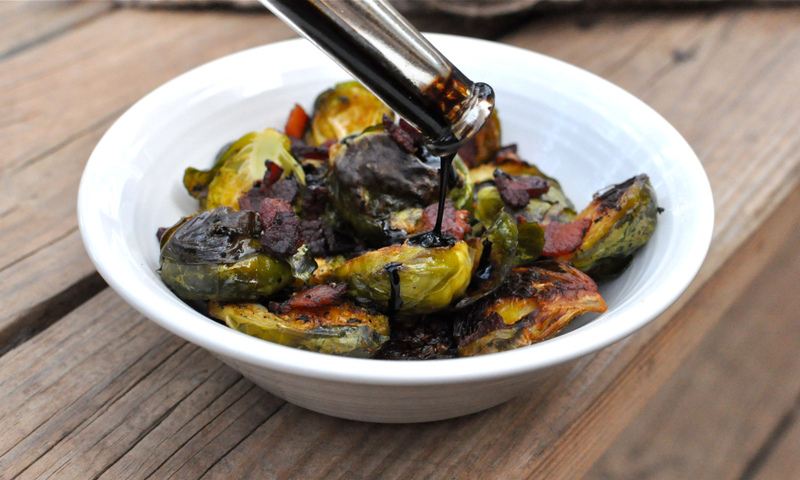 A combination of crispy bacon, sauté-to-bake cooking method, and a balsamic finishing glaze. Give Brussels one more try. You’re going to fall in love. 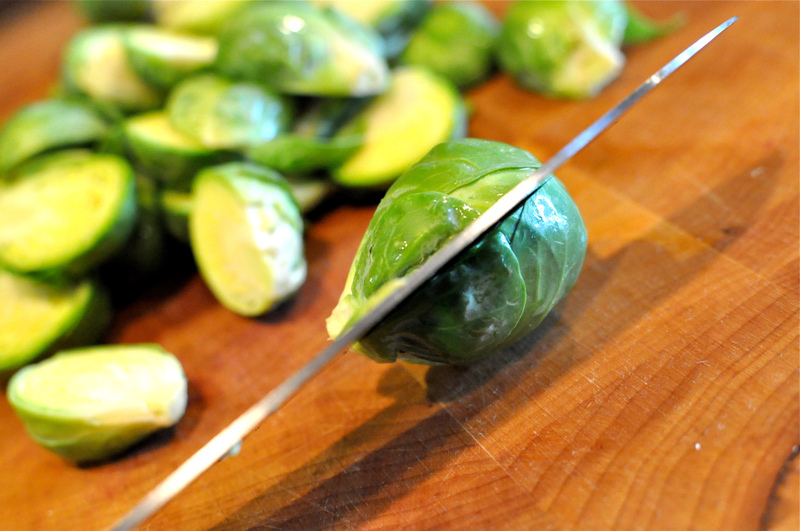 Clean and chop the Brussels sprouts in half. 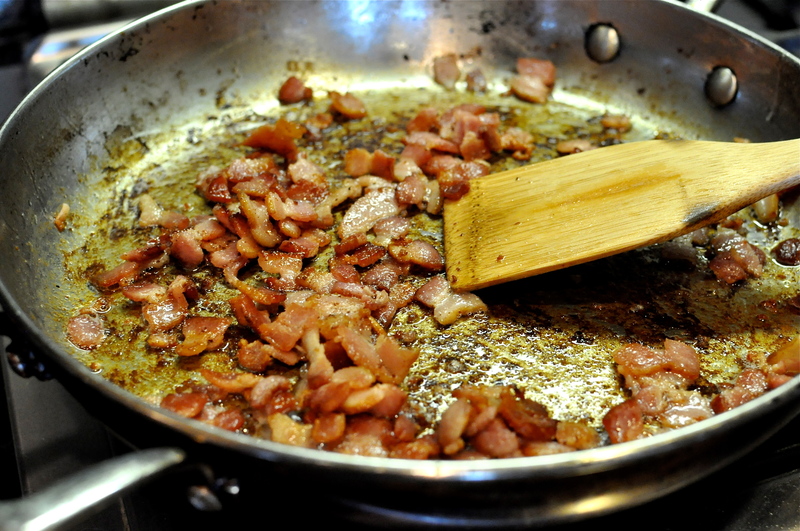 In an oven-friendly frying pan, cook the chopped bacon just until they start to foam and crisp. This will take about 4 minutes on medium/high heat. 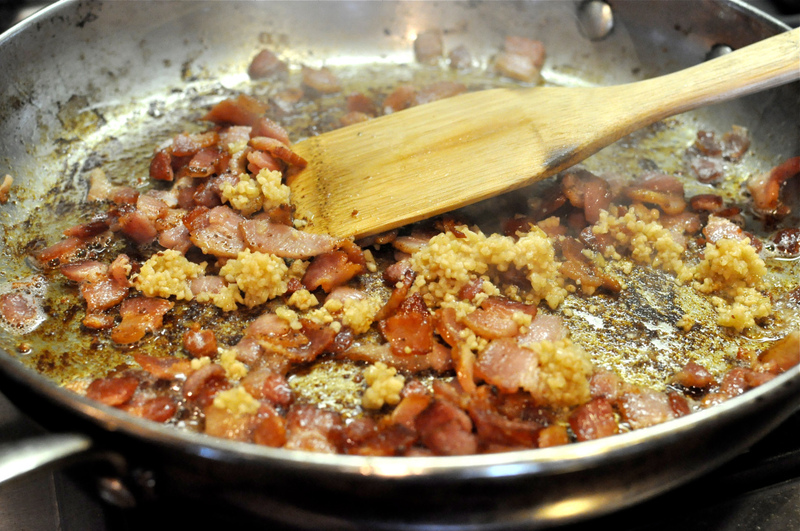 Add the garlic to the pan and stir. Cook for about 1 minute. 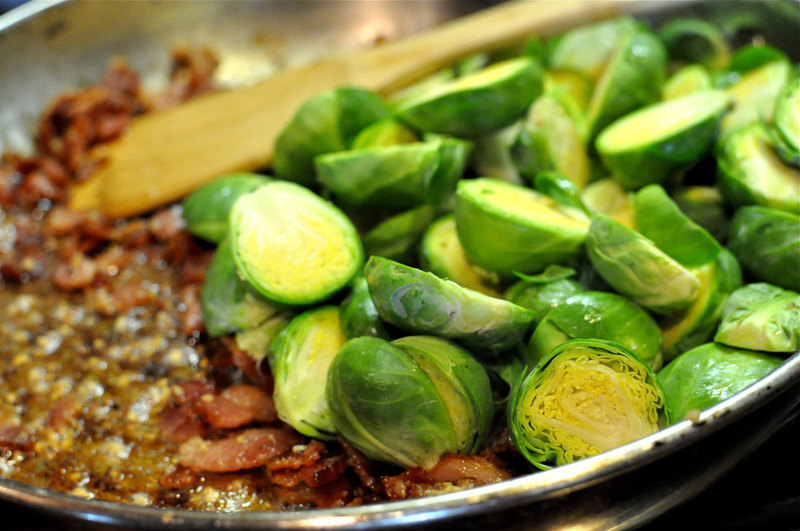 Add the Brussels to the pan and stir until they’re all evenly coated with the bacon grease. 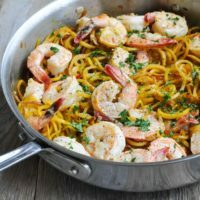 If the pan seems too dry, now add the EVOO and stir evenly. 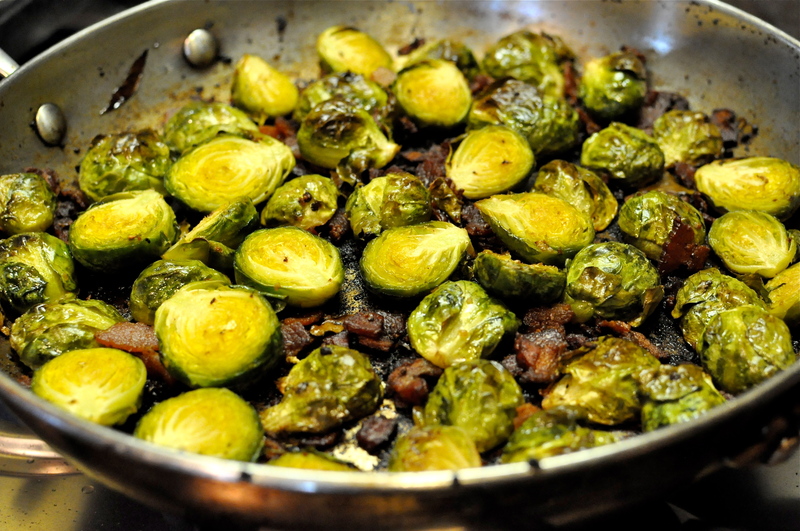 Cook on the stovetop with the Brussels for about 4-5 minutes. 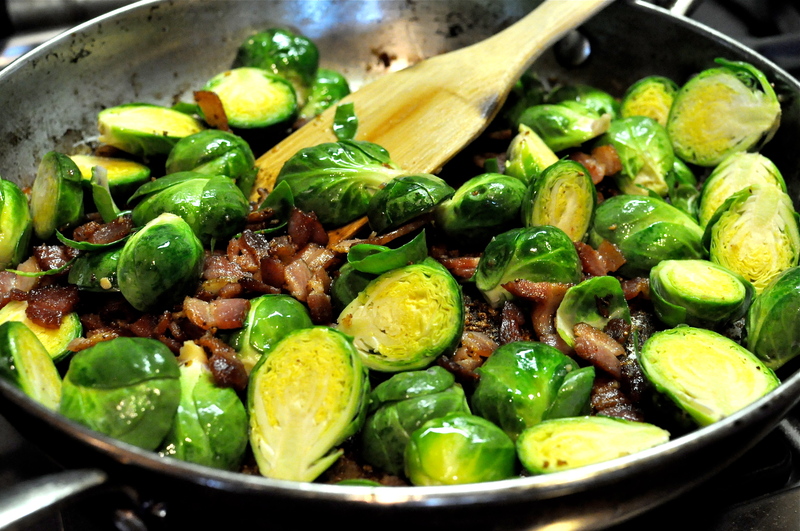 Separate each Brussels half in the pan so that they are not on top of each other. 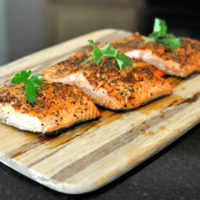 Bake the entire pan for approximately 20 minutes at 375 F.
Keep an eye on your pan. If it looks like they’re starting to brown too quickly, take them out sooner. (I recommend you start checking at 12 minutes and go back every couple after). Let cool for a few minutes and then plate. 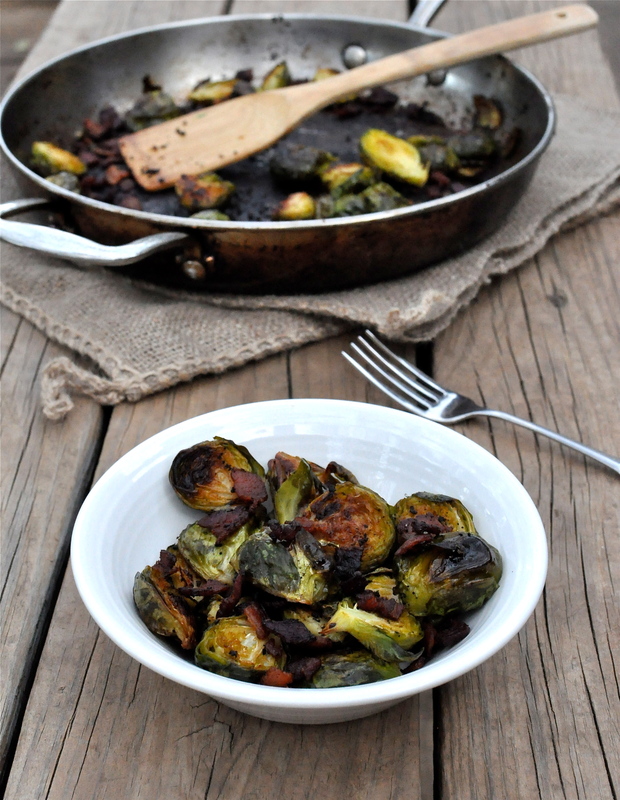 Finish with a drizzle of aged balsamic vinegar and enjoy! 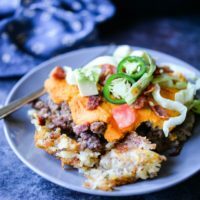 Sounds delish!! Making it for the family on Thanksgiving. These were awesome! 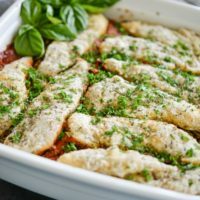 Didnt need the EVOO and added the balsamic right at the end and still baked them a little longer. Thanks!